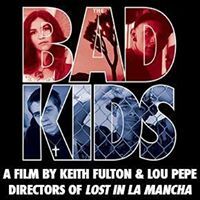 Screening: The Bad Kids and more video resources | Junior League of Tucson, Inc.
August 2017: The Junior League of Tucson held a screening of The Bad Kids documentary. The Bad Kids is an observational documentary chronicling one extraordinary principal’s mission to realize the potential of students who attend Black Rock Continuation High School. Located in an impoverished Mojave Desert community, Black Rock is only one of California’s alternative schools for students at risk of dropping out. Every student here has fallen so far behind in credits that they have little hope of earning a diploma at a traditional high school. Black Rock is their last chance. Watching this film was a great chance for League members to get additional insight into our issue area. Seeing the ways in which poverty and other circumstances made it difficult for these kids to show up for school ready to learn was very eye-opening. We had a great discussion about the film and about the ways the Junior League of Tucson can help in our issue area in our community. As we continue to seek educational and informational content for your members, we know it’s important to share with our larger community, too. Here are some additional resources you can check out to build Awareness related to our issue area! The Graduates/Los Graduados: a two-part documentary following 6 Latinix students from across America as they navigate their own unique challenges to finish high school. A Place at the Table: 1 in 4 kids don’t know where their next meal is coming from. Documentary about the underfed in America.